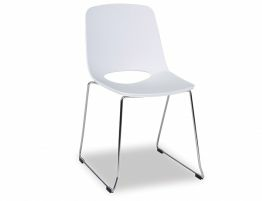 Bring the chic, crisp look of the Wasowsky minimalist white barstools into your kitchen, bar or lounge. 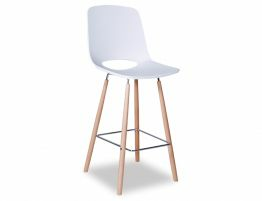 These modern barstools come in two heights, a 68cm kitchen bench height and a 77cm commercial bar furniture height to accommodate both home dining furniture and commercial dining furniture. 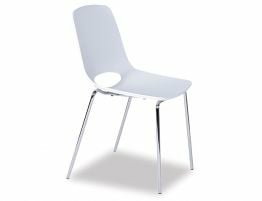 Update your look with a more current, on-trend barstool that is fresh enough to breathe new life into your design yet classic and well built enough to withstand heavy use. 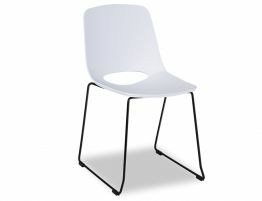 With the iconic Eames Eiffel chair as its inspiration, the Wasosky white kitchen barstool takes a Midcentury modern furniture standard and deftly blends the old and new modernism to create an inspired white commercial barstool. 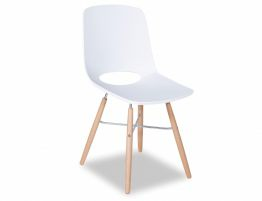 With a blending of styles, this modern barstool in white works well with a variety of interior styles from ultra modern to a refined, casual style. 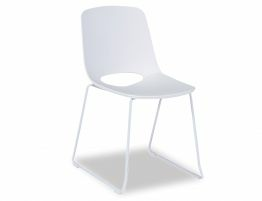 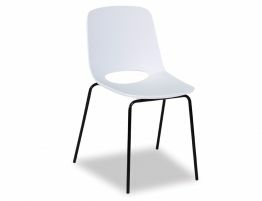 Find a carefully cultivated selection of the best in minimalist white barstools, modern barstools and commercial barstools.